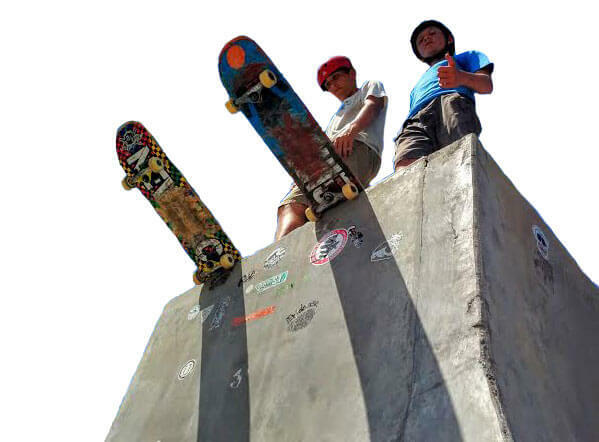 What started as an idea from a couple of teenagers has grown into a local group of skaters, parents, business owners and city representatives, actively working together to have a state of the art skate park built in Vero. Our mission is to build and maintain a family friendly, regional skate park at Leisure Square that will be part of a fun and safe campus designed to promote healthy lifestyles for the citizens of Vero Beach and the surrounding communities. Support from our community has come not only from active skaters, but from parents and grandparents, business owners, the Police Department, and even the mayor himself… but your support is key! At Vero Beach Skate Park everyone is welcome! We want to provide skaters, bikers, inline skaters and their friends and family one great location where they can all come to have a good time. Plenty of room for all types of wheeled sports to use the park. Built with families in mind. Shaded areas and benches throughout the park. Easy to find central Vero location. Access to all the other great family activities Leisure Square offers while you’re here.